The University of Wisconsin volleyball team made a commanding statement this weekend after sweeping No. 16 Texas A&M University and No. 2 University of Texas on the road. Last weekend the Badgers returned to Madison with questions swirling after an early-season stumble to No. 11 University of North Carolina and a crushing injury to junior outside hitter Lauryn Gillis. But this weekend, the Badgers returned home with back-to-back statement wins over top-20 Texas A&M and the second-best team in the land — Texas. Wisconsin (8-1) came out with its foot on the gas in Friday night’s clash with the No. 16 Aggies. UW took the first set, flying to a 25-16 advantage. Before Texas A&M (6-5) had a chance to breathe, the Badgers were up 2-0 after Wisconsin took the second set 25-17. The Aggies would respond in the third set with a much closer finish, but UW still emerged on top with a 25-23 win to sweep its opponent 3-0 on the night. Freshman outside hitter Molly Haggerty set both a career high and new school record with 27 kills through only three sets in the Badgers’ 3-0 rout over Texas A&M. Wisconsin also out blocked the Aggies 11-5 as part of six-block efforts from senior server Lauren Carlini and sophomore middle blocker Tionna Williams. The Badgers managed a 45-40 advantage in digs as well, with junior outside hitter Kelli Bates posting a match-high 14 saves. Despite having to travel from College Station to Austin between Friday night and Sunday afternoon’s battle with Texas, the Badgers returned to the court with electric performance to knock off the No. 2 Longhorns. 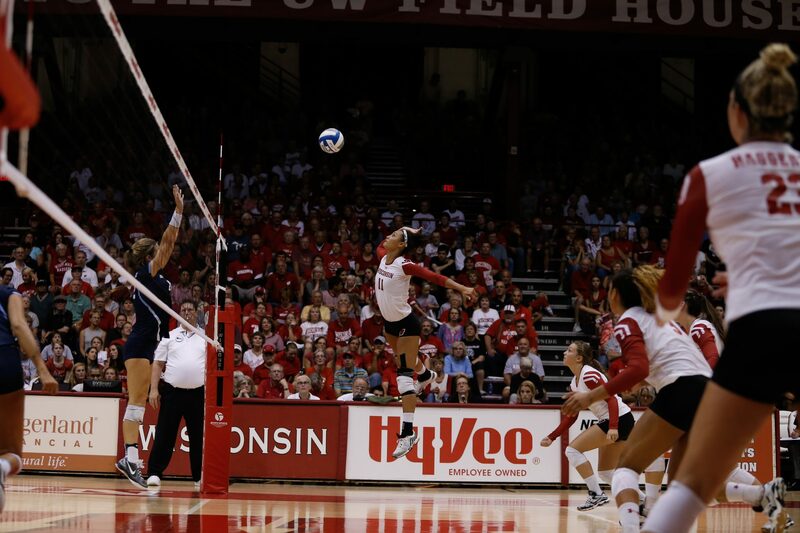 Wisconsin fought valiantly in the first two sets but ultimately fell 25-21 and 26-24, respectively. After falling behind 2-0 in sets facing the No. 2 team in the nation on the road, the Badgers were in a tough spot to say the least. But Sunday’s game was far from over. With its back against the wall, UW surged back to take the third set 25-23. The Badgers built off of the momentum from the resiliency and took the fourth set 25-21 to force a fifth and final set. After sliding through the previous two sets and allowing the Badgers claw their way back to 2-2 tie, Texas finally regained its footing. The fifth set was so close that it could not be determined by a plus two advantage for the first team with 15. The Badgers would carry the game to a 20-18 finish and complete the comeback by winning the last three consecutive sets to escape the road trip with a perfect 2-0 record. For Wisconsin, a win over the No. 2 Longhorns means so much more than just a quality victory over one of the best teams in the country. In last year’s NCAA tournament, sixth-seeded Texas made a run all the way to the national championship, where they were defeated by current No. 1 University of Nebraska. A win like this is a sign of key progress and an indicator that this year’s team has what it takes to defeat programs that have competed on the highest stage. 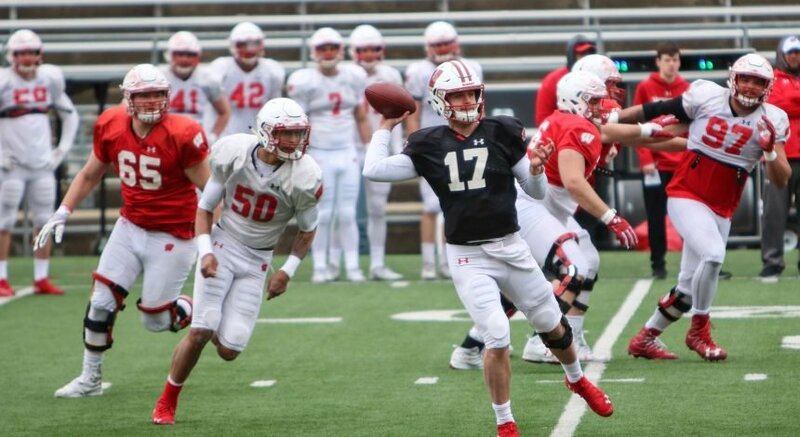 UW has been a force to be reckoned with throughout the regular season over the past three years, but getting over that hump to compete in a national championship has been something the Badgers have struggled to do.